When you’re face-to-face with a customer, client, patient or prospect you can ask and answer questions, plus give them the personalized attention they need to feel as if your business and yours alone is THE one for them. This type of engagement is essential if you want to grow your business. And we’ve talked in the past about how to do this with direct mail, email and other forms of media. This one-on-one communication is critical to sealing the deal. But websites are another kind of animal. That’s because unlike a letter or email, those who view your site are at different stages of the buying cycle. Some will know nothing about your product or service and very little about you. Others may be very loyal to you and your product or service, someone who’s been coming to you for years. But if you take a look at a lot of websites, you’ll notice the generic way in which they approach the sales and presentation process. It’s probably cheaper and easier to build them this way. But this kind of approach is going to cost the website owner plenty, both in time and money, over the long haul. It reminds me of trying to put a square peg in a round hole. It’s a great way to lose a lot of customers AND repel any decent leads or income. When you try to cater to everyone, you more than likely aren’t going to capture anyone. Plus the possibility of attracting the wrong kind of prospect goes up. If you want to make sure your website avoids this one-size-fits-all category, do your homework up front. The following is a checklist of things you need to think about before building or making revisions to your website. • Who is your target audience? Whom are you trying to reach? • What factors, features or benefits are most important to your target audience? • What is the ultimate purpose or goal of your website? • What is the best way to get those viewing your website to take action? • What action do you want viewers to take when visiting your website? 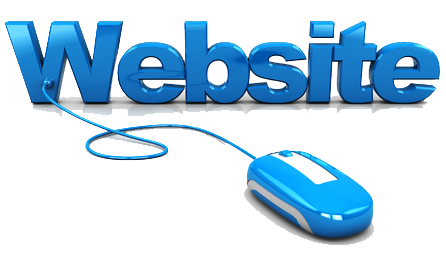 You want each visitor to your website to have a wonderful experience. That’s why it’s important for each and every page to have a purpose and to work together with other pages. Before posting a blog, ask yourself what is the purpose of putting it up and how does it tie in or fit together with the rest of your website content. The bottom line is you should be putting careful thought and planning into your website, rather than throwing up pages in a random manner. Automate your business and build an evergreen campaign on your website, so that it becomes a continuous and ongoing source of leads and income. A smart way to do this is to install fundamental direct response marketing principles that have stood the test of time. Don’t go regularly changing your website because some Johnny-come-lately digital guru says there’s a new rule everyone should now be following. Make sure you don’t turn over your site to a web designer or tech whiz. They will not pay attention to the overall purpose and design. They will simply build and maintain your site based on what is easy to construct and adjust. It’s highly unlikely they will understand direct response principles. And they definitely won’t be aware or concerned about the big picture and what you’re trying to communicate and accomplish. In other words, you really need to think like an architect and make certain every element and button on your website is working toward the end result you are seeking. Just like a newspaper or magazine ad, keep in mind that every word you use counts. The common myth is that a website has unlimited real estate to work with. Don’t get sloppy with your copy. If something isn’t working with your overall strategy, lose it. Same thing goes for any graphic or design elements. Choose them carefully and make sure they serve a specific purpose. If you do it right and put in the work and planning up front, your website will go to work for you over and over again. Do this up front and it will save you a whole lot of time and money because you won’t have to be continually rebuilding your website. It will become like an old friend or a successful sales letter that will do the job for you year after year. And that’s the kind of website that will make visitors realize that you are exactly the right fit for them. So many people view their website as a cost of doing business instead of viewing it as they would another sales person. Your website should return for you. It should meet it’s budgets and continue time after time to generate inquiries or revenue. If your website is falling short of the mark or worst still you don’t have a tool like this at your disposal then we encourage you to view our Website Design & Development page. Here you won’t just be dealing with a web designer or technical expert you will get the bonus assistance of a direct response marketing expert who can help you to digitally reach your customers, clients, patients and prospects. From a foundational standpoint, the internet is a form of media – merely another tool in your toolbox. I’ll show you how to use it to your advantage by employing fundamental direct response principles. Can you really afford to wait? I guess if you are already making bucket loads of money and have no time to do any more business then this isn’t for you but if more business is on your agenda then you need to check this out.